Do you have to bust your soil biome with tilling? Whether you have a flower pot on a windowsill or your whole yard turned garden wonderland, growing flowers and vegetables is easy. Plants want to grow. But when starting a garden of any size, like when you start any new project, there are choices to be made. One of these choices is how to prepare your soil. Maybe you're just going to fill containers with potting soil. This works fine and seems to be ever popular. But remember that potting soil isn't necessary to have a great garden. Gardens and farms were great before potting soil became popular in the mid 1900s. But if you are going to prepare an old-fashioned garden spot right in the actual soil, there are, in general, two different approaches: till and no-till. 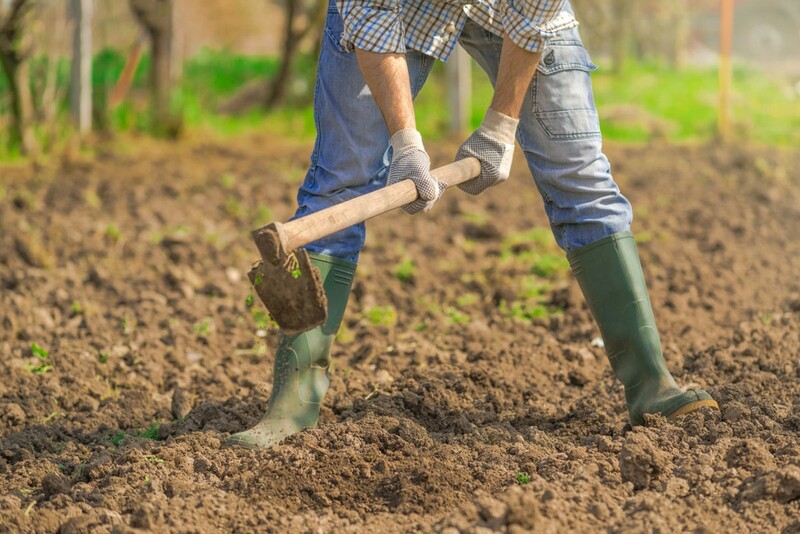 With the classic home garden, you till up the soil when the moisture is right, of course, to a nice looking, clean seedbed with either shovels, hoes or a walk-behind or tractor-mounted implement, such as a rototiller, disc or plow. You might incorporate compost, fertilizers or lime. Sometimes you put down fertilizer while planting. Walkways go in between rows or raised or flat beds for dense, bed-wide plantings. This is the way that gardeners, for the most part, have laid out gardens for generations and centuries. But ever since the Dust Bowl, more and more evidence has implicated tillage as destructive of soil quality. Tillage oxidizes organic matter, decreases earthworm populations and aggregate stability, all important parameters of a soil's health. The soil biome is complex and amazing. We're only just beginning to understand the interactions between the organic and inorganic components of the soil, fungi, bacteria, mycorrhizae and soil animals, such as earthworms, and they are proving more fantastic than science fiction. Tillage, obviously, is disruptive to this soil biome. At this point, there's hardly a farmer or gardener that doesn't view tillage as, at best, a necessary evil. And for this reason, among others, the concept of no-till farming and gardening is very trendy. Interestingly, it is large scale conventional corn, soybean and wheat farmers in our country who have adopted no-till farming to a tune of 100 million acres — 35 percent of U.S. cropland. Efficiency has been the main driver of this adoption of no-till farming, the benefit being fewer trips across the field, though it's only possible with the heavy use of herbicides. Large scale organic no-till farming is proving difficult and elusive. However, no-till gardens and very small farms are popular and successful. But how do you accomplish a no-till garden? Well, sometimes, apparently, the best way to set up a no-till garden can be to till, initially, in order to kill weeds and break up compaction. 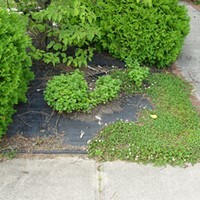 But, instead of tilling, you can establish a no-till garden by covering the soil with black plastic or some other effective mulch, such as several layers of clean cardboard. When you pull this mulch off after a few weeks, it is amazing what the soil is like. Whatever vegetation that was covering the soil is gone, earthworm castings and pores are everywhere, and the soil, if you haven't been walking on it, is friable down at least a few inches deep. But either way, whether you till or mulch to establish your no-till garden, the idea is to never till again. Walk only on pathways to avoid packing the soil down. Cultivate only very shallow when you weed or plant. That way, any composts, plant residues or amendments are allowed to work their way in from the top. What does the research show? Does no-till gardening or farming really produce better soil health? Some long-term (several decades) comparative studies do show dramatic increases in soil organic matter and aggregate stability. But other studies, like research being done in the Salinas Valley, are not conclusive. Some no-till skeptics believe that agricultural or garden soils become adapted to intensive management and that the incorporation of cover crops and crop residues through tillage can offset the negative effects. Still, no-till advocates believe that not only is no-till a golden solution to soil health, but that no-till may even be humanity's only hope to reverse global warming through the ability of non-tilled soil to sequester carbon. To till or not to till, or maybe a combination of both, is a complex question with a million variables. It's an important issue in your home garden and our modern agricultural dialogue.